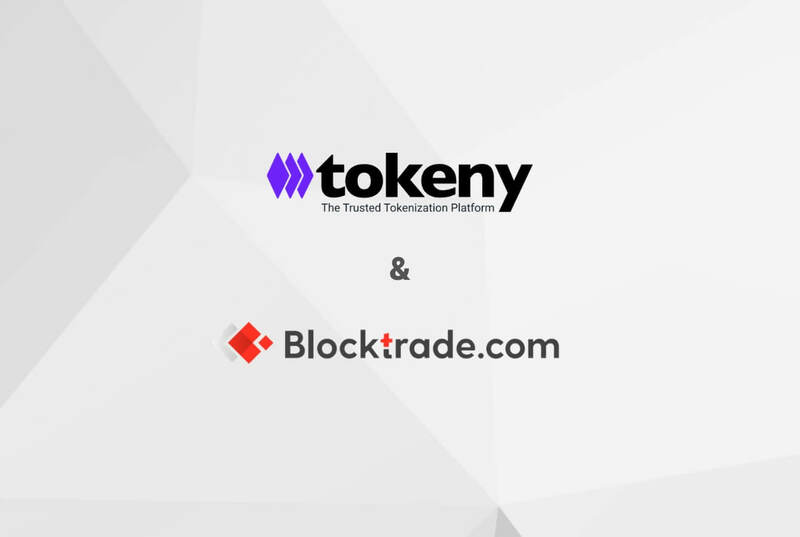 London, Great Britain – Tokeny, the market-leading tokenization platform, has partnered with Blocktrade.com, the best in class trading facility for Crypto Assets, Crypto Traded Indices and other blockchain related financial instruments. Tokeny are building an infrastructure of partners to ensure every security token they issue is fully regulated. At the heart of this is Tokeny’s TREX (Token for Regulated EXchanges) infrastructure, designed to ensure uniformity and compliance in the trading of every issued security token. Luka Gubo, CEO of Blocktrade.com commented “We are proud to sign the agreement with Tokeny. They are an important partner who share our vision to change the future of finance and make the capital markets fairer and more accessible to everyone. Furthermore, we both work with strict compliance and we believe this will accelerate the path to the wider adoption of crypto assets”, stated Luka Gubo, CEO of Blocktrade.com. The Luxembourg based fintech company is the market leader in delivering an institutional grade, secure end-to-end platform, allowing for the issuance and lifecycle management of tokens. Tokeny utilises their proprietary TREX (Token for Regulated EXchanges) infrastructure to onboard investors in an effortless way, enabling them to seamlessly make investments in tokenized securities. Investors are guided through the necessary steps, including the necessary KYC and AML compliance checks, ensuring all participants are eligible for the investment. Dividends, voting, announcements, investor validation and other corporate events can all be managed from the Tokeny platform by the issuer or his agent. Tokeny’s solution leverages blockchain technology and couples it with decades of experience from the traditional securities world. Tokeny utilises this background to make the participation of any contributor in an STO transparent, accessible, and completely secure. Blocktrade.com is a top-tier trading facility for Security Tokens, Crypto Assets, Crypto Traded Indices™ and other tokenized assets. With a clear vision of establishing the New financial world ecosystem, they are about to become the first fully MiFID II compliant crypto exchange and are partnering with security token issuers, market makers and other financial institutions, sharing the same high standards and values. Acquiring the license for listing security tokens in a completely regulated manner, Blocktrade.com is opening the floodgates for institutional capital to join the crypto markets. In order to exceed expectations of retail as well as institutional traders, Blocktrade.com trading venue is built on high performance, superior security and outstanding customer experience.